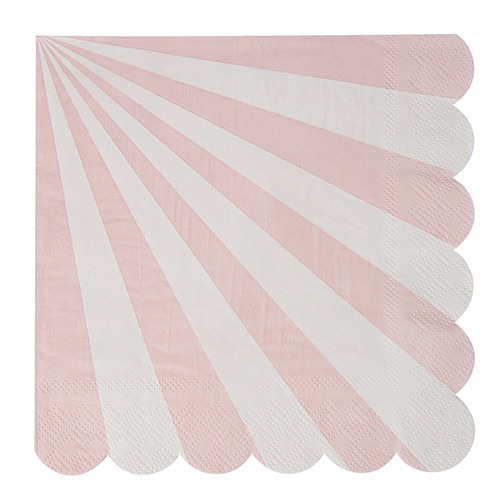 For the happiest of celebrations, accessorize with these sweet scalloped and striped party napkins. 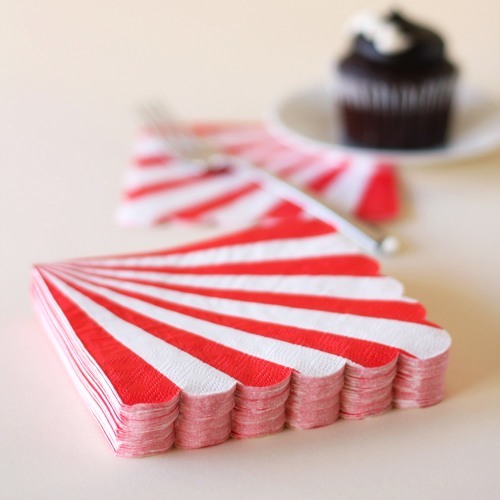 Measuring 6 inches in diameter, these stylish party napkins are decorated with white stripes and accent color of your choice, and finished with a scalloped edge. 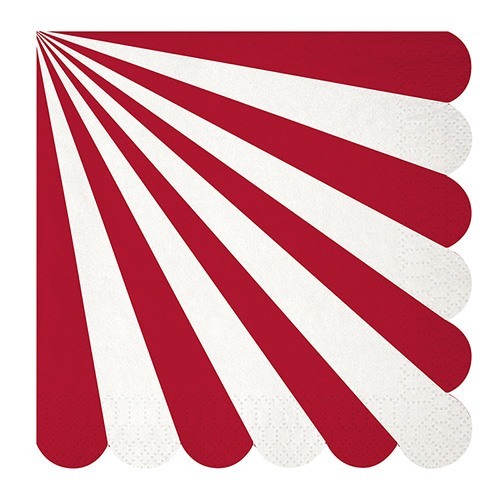 They bring style and design to any themed party or event.